Working with the JAX Chamber and supporting Community First Saturdays this Saturday, Oct. 5, the Omni Jacksonville Hotel is offering special rates for those planning to spend an evening Downtown on Oct. 4. As part of a pilot program, guests can stay at the Omni at a discounted rate and wake up to Community First Saturdays. For instructions on how to receive the special rate, visit Facebook.com/getdownandstaydown. Community First Saturdays, sponsored by Community First Credit Union, is located behind the Times-Union Center on the Northbank Riverwalk just west of the Jacksonville Landing. The event runs from 10 a.m. to 4 p.m. on the first Saturday of the month. The following are some of the activities planned for Saturday, Oct. 5. 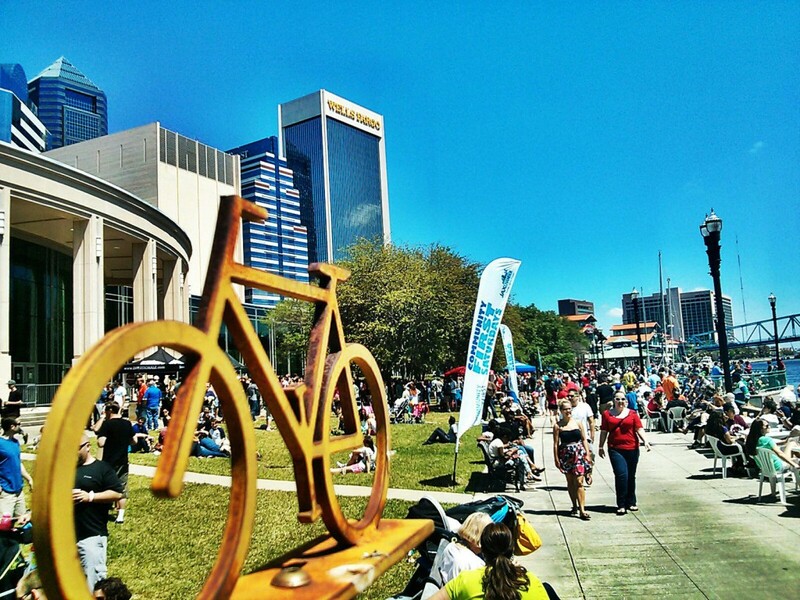 10 a.m. to 3 p.m. – ART IN THE PARK – Jax Parks’ biggest art event along the Riverwalk, featuring family friendly art activities including ceramics, drawing, music and more. 10 a.m. – Fulham v. Stoke City Watch Party – Cheer on Fulham, Shad Khan’s premier league team, live on the gigantic screen in the courtyard of the Jacksonville Landing. 11 a.m. – FightFit: Free 45 minute cardio workout. Noon to 2 p.m. – Cookies & Canvas – Free painting class with professional art teacher and supplies provided courtesy of Wine & Canvas. 1 p.m. – Jacksonville Original Music Fest – Enjoy 125 local bands on 13 stages. Visitors to Community First Saturdays are encouraged to ride the free Skyway, courtesy of JTA, and play Operation Skyway, a fun interactive scavenger hunt for a chance to win tickets to Jaxtoberfest. Guests to Community First Saturdays also enjoy free Wi-Fi from MacTechPro, a free bike valet from Bike Jax and numerous gourmet Food Trucks. For more information, visit communityfirstsaturdays.com.